We recommend the following ministries as amazing resources for many different aspects of the Christian faith. Please explore these sites to grow not just in your knowledge of Christianity, but also in your understanding of how Jesus and His Gospel minister to our hearts as well. 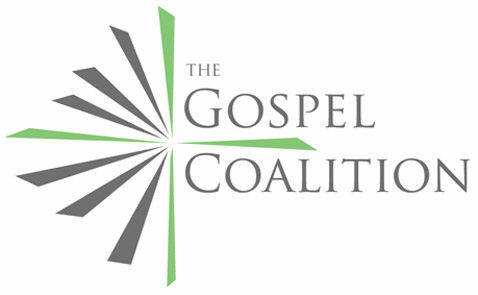 The Gospel Coalition is a huge and ever-growing network of pastors, churches, ministries, and resources that is devoted to Gospel-centered ministry, church reform, and cultural transformation. Their website serves as a nerve-center and resource collector for many of today's most trustworthy and inspiring Christian leaders. Be sure to check out the vast Resources section - TGC is a wonderful tool for growing in your own faith and equipping yourself to lead others. Tim Keller is the founding pastor of Redeemer Presbyterian Church in New York City. In addition to co-leading the Gospel Coalition with Dr. D. A. Carson, Keller is an influential author and teacher who is deeply committed to seeing Jesus' Gospel shine above all else in the Christian church (that's why we love him so much here at Mason Cru). We recommend that everyone take the time to listen to his sermons and see how God's grace, shown to us in the life and teaching of Jesus, is at the center of everything we are as Christians. CARM represents a vast collection of thought, research, and evidence in support of the Bible and the history and teachings it contains. Be sure to peruse the topical index in the left sidebar for answers to many difficult questions. Desiring God provides the collected resources of the ministry of Dr. John Piper, pastor of Bethlehem Baptist Church in Minneapolis. The theme of Piper's ministry as an author and teacher has consistently been the glory of God, and he helps both the Christian and non-Christian alike to know God as He really is. Piper is almost unparalleled as a preacher and we encourage you to listen to some of the hundreds (possibly thousands) of sermons archived on the site. International Justice Mission is a Washington, D.C.-based human rights agency devoted to the rescue of victims of slavery, sexual exploitation, and violent oppression around the world. They view rescue as a comprehensive task, and apply themselves to every step of rescuing captive people: location, surveillance, training and working with local law enforcement, physical rescue and relocation, legal prosecution, victim counseling, skill training, job placement, and spiritual development. Mason Cru fully supports IJM and recommends that everyone become familiar with the work they do. The Traveling Team works with other ministries to inspire vision and passion for world missions among collegiate Christians. Mason Cru provides many opportunities every summer to minister oversees, and the Traveling Team has a compelling vision for how such work fits into God's great plan for the world. Bible Sprout is an educational Christian website focused on helping people know more about God’s truth through reliance on Scripture. Their goal is to help Christians cultivate their personal faith by providing access to important biblical knowledge.